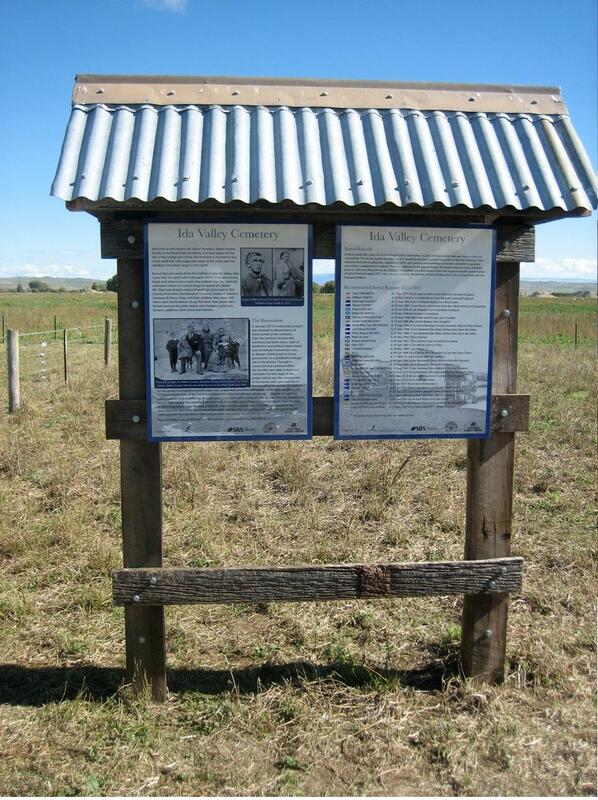 New Moa Creek Cemetery signage unveiled. A good turn out on a classically beautiful Central Otago day for the unveiling of new interpretation boards for the Moa Creek Cemetery. Dr Jim Ng was the honored guest to complete the ceremony. Martin Anderson represented the OGHT who helped build the structure and printed the panels. 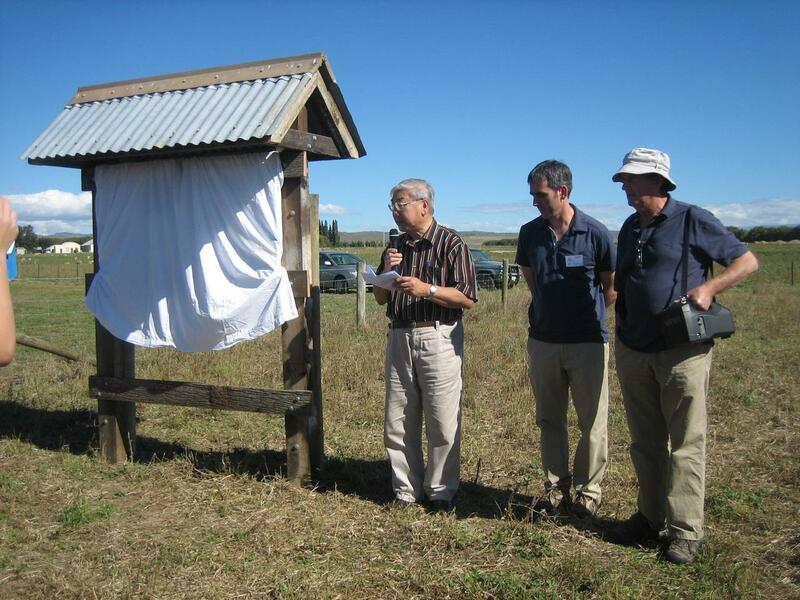 Jeff Sawers is the third fellow in the photo who has been the driving force behind the ‘resurection’ of the Moa Creek Cemetery and researcher of the information presented on the pannels.